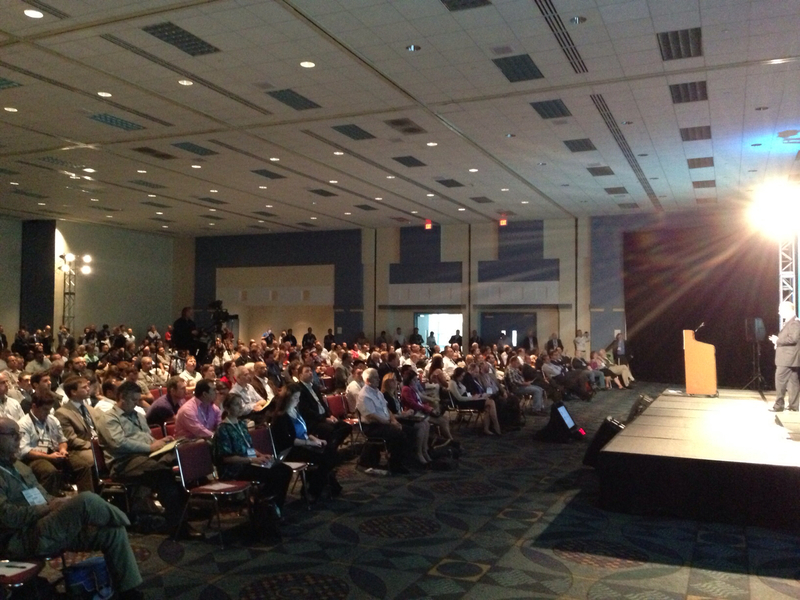 Here is a shot of the audience from the recent Telefonica keynote at ITEXPO Miami 2013. Standing-room only and lots of great info about broadband, telecom and cloud. Right now the future of cloud computing panel is taking place and then the exhibit hall opens. Its been a great day so far. Seems like there is lots of optimism about the future.